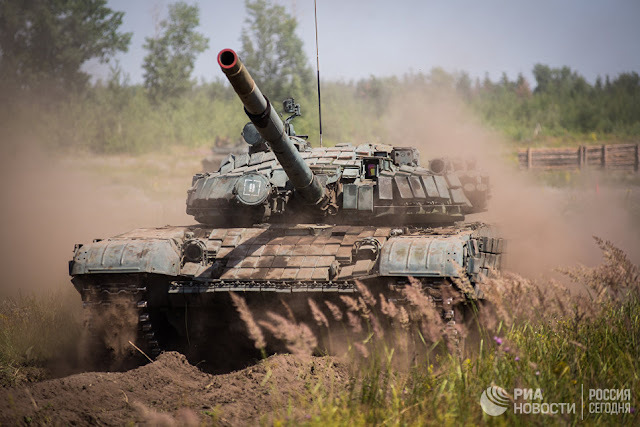 The Russian media has published several articles about the latest round of live fire drills by the Russian tank forces. The first brief mentions caught my attention as they described a new tank tactic based on the experiences of the Russian expeditionary force in Syria. 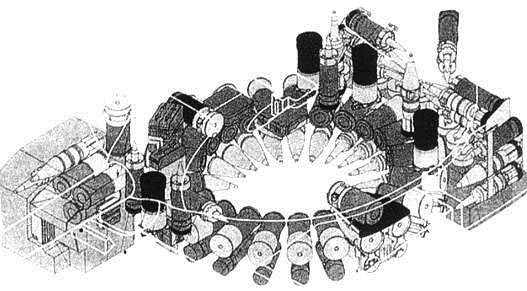 The “Tank Carousel” is simply a drill in which a tanks of a formation, be it a platoon or a company, move around a set perimeter firing the from vantage points or openings in a berm and then move off to safety while another one moves in to the same spot to fire. This does allow the unit to maintain sustained 125 mm tank gun fire at a target area. Another part of the said tank formation would be hiding further back camouflaged and sniping at the enemies who try to engage the circus tanks. While this sort of a bait-by-blanket-fire tactic might be marginally effective against an undisciplined force relying heavily on ATGM crews firing from fixed positions, that are prevalent in the Syrian conflict. It’s hardly the best option against a peer level enemy with trained and disciplined soldiers such as the Ukrainian army. Using the T-72 or T-90 tanks as sustained fire “spammers” is a bad idea, because these tanks are relying on autoloaders that, while offering an increase in the initial rate of fire, are harder to top-up during combat, especially as the Russian tanks are manned with three man crews without a dedicated loader. The "Tank Carousel" starts to make sense if you break it into its components and remember that it's used to train tankers on the ever so restricted shooting ranges that can manage a unit sized tank main gun drills. The tactic with its tightly choreographed movements teach troops to communicate and follow each others movements efficiently. It also allows a unit to train the ever important driving into and out of a firing position repeatedly. With a circus drill the Russian tank unit can squeeze out the maximum amount of effective live-fire training from the limited range time they have available in their polygons. So instead of being a revolutionary combat tactic it seems that the “Tank Carousel” is just a clever way to train efficiently and as a bonus it can be used as a distraction to throw off the western observers who closely monitor the Russian training. Would you really broadcast an effective new tactical trick on your own government controlled media? The lengthy RIA article offered some additional insights in to the Russian training. The most interesting one is the continued practice of training the tank crews to shoot their 125 mm guns in an indirect fire mode as an interim self propelled howitzer. All of the western tank experts I’ve talked to say that it’s highly ineffective and should only be used as a last ditch measure. As it’s well known that Russia boasts a very large and potent artillery with numerous SPGs, it’s unlikely that a tank unit would be called upon to fill in on the artillery role. There have been persistent rumors, but no hard facts, that the laser guidance used in the 152 mm Krasnopol and 122 mm Kitolov rounds has been adapted to a 125 mm tank gun ammunition. This sort of a precision guided munition would certainly allow a tank formation to conduct effective artillery strikes in support of a friendly unit doing the spotting for them. The last insight is that the 20th Combined Arms Army still heavily relies on the older T-72B1 tanks, despite the statements that the front-line units should have mostly been kitted out with the later T-72B3. The claim that the older tanks are used in the live fire drills in not plausible as the two tanks have different fire control, command and communications suites and it would be counter productive to train with the soon to be obsolete models. With Russia, it's always difficult to determinate what is truly newsworthy and what is just maskirovka designed to keep the unwary observer looking at the wrong spot. Ps. 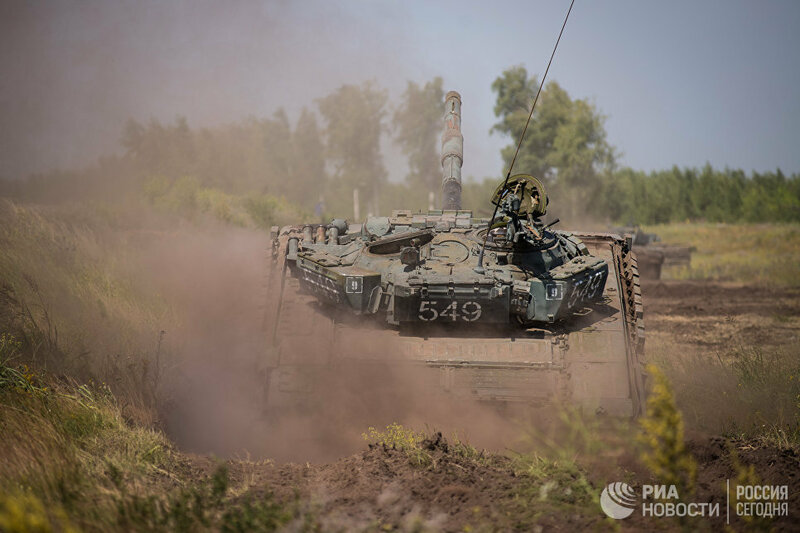 The term tank carousel was used during the Zapad17 exercise, but despite the similarity it doesn't seem to refer to this particular drill. We AGS-OIL Representatives to major refinery in Russia Federation with allocation for; D2DIESEL OIL GOST 305-82, JP54,JETFUEL, AVIATION KEROSENE COLONIAL GRADE, UREA 46%/PRILLS, LNG, LPG, REBCO, MAZUT100 GOST 10585-75/99, AUTOMOTIVE GAS OIL(AGO Our seller are reliable, responsible and capable to supply to buyer/buyer mandates product request. Interested buyer/buyer mandates should reply back to us asap to enable issue SCO to buyer/buyer mandates. We await your useful responses.